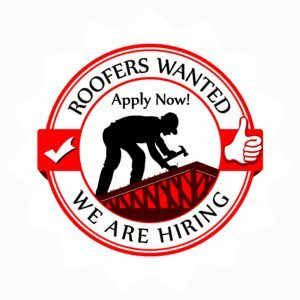 Affordable Roofing ׀ NOW HIRING ROOFERS in Florida! Apply today. Affordable Roofing by John Cadwell, Inc. has been synonymous with extraordinary reliability and unparalleled service. We are committed to providing customers a level of workmanship, performance, and continuous improvement in construction technology. Therefore, we confidently look forward to an even more promising and rewarding future. Proud to be a Drug-Free Workplace. Roofers must have valid ID. We are a fun, happy place to work. It is hard work, so a positive attitude can make the difference. If you are reliable, positive, and hardworking, we would love to provide you with a place to work that you can feel proud to be a part of. We do not put illegal signs on easements and in roadways because we have so many loyal customers and years of a great reputation. Consequently, WE DO NEED HELP to put those roofs back on customers’ homes that trust us, wait for us, and want a great roof at an affordable price. We have begun a major overhaul of our entire operation to anticipate the growth. Therefore, now is an exciting time as we expand operations to support customers from North Central Florida, opening a new office in Tavares. If you enjoy an open, friendly, professional environment where you will be challenged and recognized for your contributions, we offer outstanding opportunities for qualified applicants. Currently we are looking qualified team members. Attracting top talent with specific experience, relating to the roofing construction industry. > Advanced Roofer – NOW HIRING. > Repair and Maintenance Specialist -NOW HIRING. Review of the entire Job Posting prior to applying for a position at Affordable Roofing by John Cadwell, Inc.